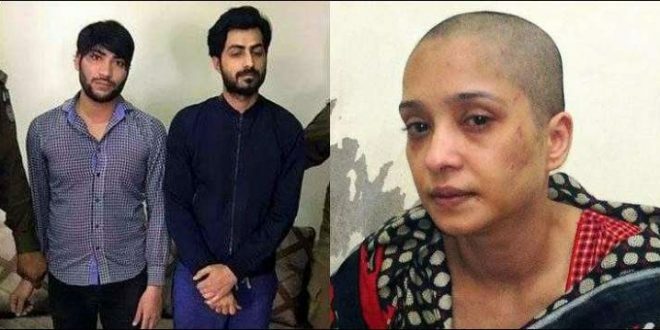 LAHORE: (April 8, 2019): Court rejected the bail of the two men who were arrested for torturing one of the suspect’s wife for not dancing in front of his friends. Judicial Magistrate Shahid Zia rejected the bail applications of both, Faisal and Rashid. This case of domestic violence was registered when a video went viral on social media. The victim appealed to the government to help her. Two men, Faisal (husband of the victim) and Rashid were arrested after the FIR was filed against them. When victim escaped from her house and tried to file a report against his husband, she was asked for bribe worth 10,000 to register the case by the policeman in-charge at that time.